According to the limited information available on their website, The Last Astronaut consists of two “English-speaking earthlings” who are apparently recording in space and broadcasting their music back to us lowly earth-bound mortals. 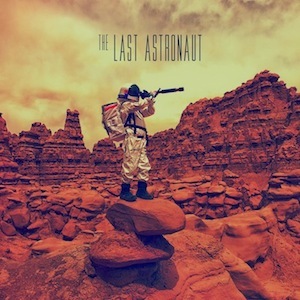 It’s always fun for bands to create their own intricate backstories, but The Last Astronaut are playing up the obscurity angle so much that they’re next to un-googlable. Even finding their official website took some time. Seriously guys, it’s possible to be elusive and have a web presence. the electronic soundscape they’re embedded in. “Automatic Sunshine” has a deceptively cheerful summertime chilled-garage-rock feel for a song with lyrics all about loneliness and abandonment. Things only get better as the album goes on – “Saturday Sinner” is another relaxing guitar-lead melody and “Rich Girls Behaving Poorly” is both clever, playful and full of prime hooks. Closing track “Glorianna” is a perfect combination of the Last Astronaut’s skill in both electronics and production and the fantastic songwriting evident through the whole album.